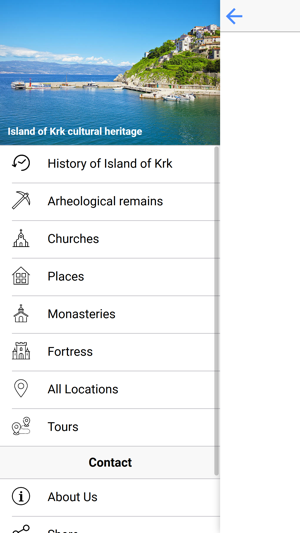 The mobile application Visit Krk was created by the Center for Industrial Heritage, University of Rijeka for The Island of Krk Tourist Board. 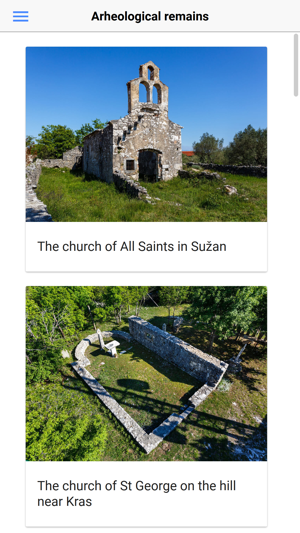 The island of Krk has a varied heritage from all periods, archaeological remains from the Roman period, early Christian basilicas, Romanesque churches and Cathedral in Krk. This mobile application for the first time brings objects of outstanding cultural importance. 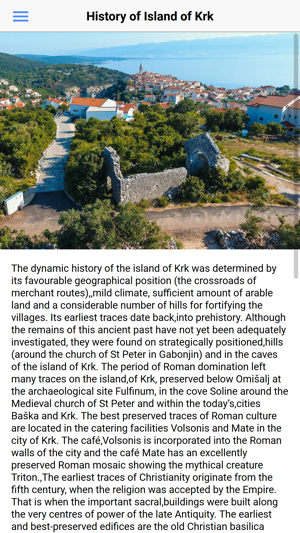 The application contains a brief description of the history of the island of Krk and an overview of the sites of cultural significance. The cultural heritage is divided into categories of Archaeological Remains, Fortresses, Churches, Monasteries, and Towns. 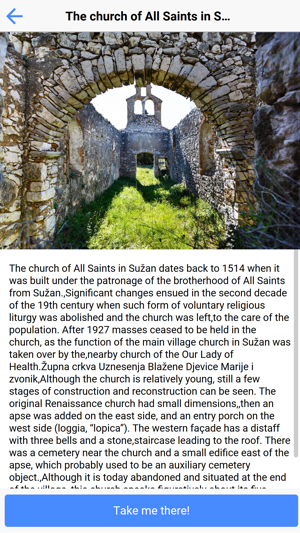 Each category brings several significant sites with cultural value, and for each location, it delivers a description, a photo, a map location, and a navigation. 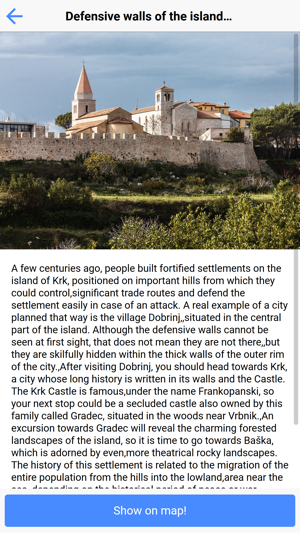 The application also contains five tours: The defensive walls of the island of Krk, The past of the island preserved in a few stone remains, A visit to the monasteries of the island of Krk, Small and secluded churches of the island of Krk and The island of Krk in the centuries of the new age giving suggestions on how to visit and explore the cultural heritage of the island. Zahtjeva iOS 11.0 ili noviji. Kompatibilno s iPhone, iPad i iPod touch uređajem.